The public-sector is slowly beginning to go ‘paperless’ and are increasingly revealing the huge costs they are saving as a result of the change. 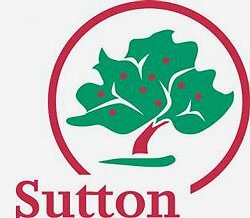 In 2011, Eastbourne Borough Council established a new document management project which will save around £3million over 10 years, winning a prestigious IT award in the process, and the London Borough of Sutton, a significantly smaller council reported a proposed saving of over £280,000 over a five year period. Other councils such as Hertsmere Borough Council have reported big savings with tools such as finance management. However, the focus for a lot of councils in the UK has been on that of their document management and overall workflow with a view to improving the way they handle documents. These councils are experiencing cost savings, better productivity and efficiency as well as freeing up valuable office space through adopting digital document management systems. These benefits have been attractive to a range of other businesses and organisations too. So what do you need to keep in mind if you want to improve your document management? Well, you need to remember that there shouldn’t be any type of ‘off-the-shelf’ solution to going digital. Each project should be custom made as this is the only way for a system to be successful and ultimately long-lasting. You shouldn’t have to change your every five years to keep up with your document management because this will prove to be quite expensive. Document scanning and digital document management offers a long term solution that can prove hugely cost effective among a large range of other benefits. If you’re interested in finding out more about the file scanning services we have to offer including document scanning London, get in touch today or see our main site. For a free, no obligation quote for your scanning project, complete our online form by following the relevant links below.